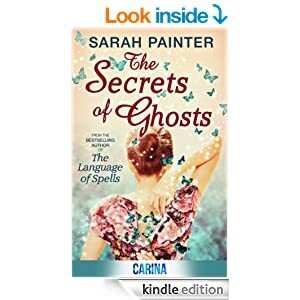 I didn’t realise this was a follow on from book one The Language of Spells, which I’ve not read. It was still fairly easy to understand, though if I’d read book one some of the conversations would have stood in better context instead of my having to read between the lines. My bad…Still, it was an enjoyable, escapist read, light hearted romance and a bit of paranormal who dunnit. I didn’t guess how things would turn out, that came as a pleasant surprise, I do enjoy books that can impress me plot wise with how things work out. So many are just predictable and though that works mostly, when the endings are different to what I expect it adds to the reading experience. I liked Katie, she’s so determined to be a success within the family and so frustrated at the lack of magic so far, that when the ghosts start turning up she sees benefits and a purpose for her, disregarding potential dangers. That can have a drastic effect on her and the family. Max, he was an enigma much of the while, and there was a very subtle, gentle romance building between him and Katie, which was fun and made for a change from the insta love of so many novels. (though I like those as well, properly done, just its good to have variety) Priced at £3.99 for 279 pages its long enough to let the reader get really into the plot. Its not one of those breath holding, heart stopping, peeping round the pages books but more a gentle meander though an adventure, with a side of romance. Though its connected to book one, its a complete novel in itself. I’d certainly be ready to read more from Katie and the family and friends. Stars: Three and a half, good gentle story.